A GRIP ON SPORTS • You know why everything was better years and years ago? Instead of a Presidents’ Day, honoring all of the folks who have held that office over the years on one day, the nation celebrated George Washington’s birthday and Abe Lincoln’s birthday. Two holidays instead of one in February. Read on. There was little going on yesterday. The M’s were practicing outside in Arizona. There was some basketball poll news and a couple awards. And I’m sure somewhere made some big news on the ski slopes or in soccer, but that doesn’t affect us much here. That doesn’t mean, however, there isn’t anything to talk about. It’s all part of a look at the best college imports around here, from Gordie Herbert at Idaho to GU’s Przemek Karnowski, from Venky Jois for Eastern to Aron Baynes in Pullman. On a cold, snowy day in Spokane, when we are all hungover from too many toasts to Chester A. Arthur and William Howard Taft, it’s a nice subject to get us back to what’s really important: sports. Gonzaga: There is more than the Lefebvre story, including news on the polling front. The Zags were No. 1 for a fourth consecutive week, the first time that’s happened. Jim Meehan has that information. … Nigel Williams-Goss was also the WCC player of the week again. … Michael Gulledge has a feature on the newest member of the game management staff, clock operator Justin Stottlemyre. 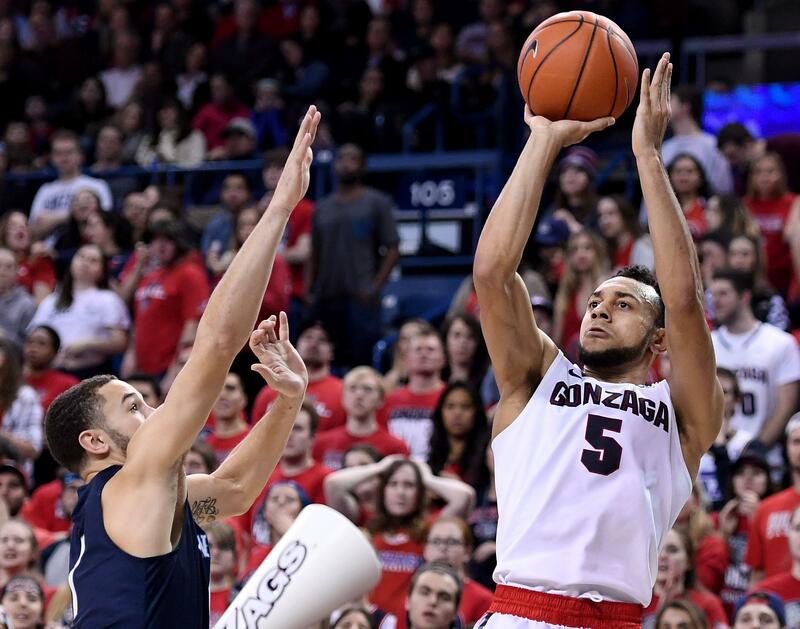 … Saint Mary’s Randy Bennett ends the debate: This is the best Gonzaga team he’s ever seen. … CBSSports sees the Zags as the No. 1 overall seed in the NCAA tourney. … Around the WCC, BYU has a player on the bench it expected more from. WSU: Luke Falk is coming back to Pullman next season. There are a lot of reasons why. ESPN.com’s Ted Miller talked with him about all of them. … Elsewhere in the Pac-12, Oregon State has a new center showing his stuff in spring practice. … Arizona has a new linebacker coach showing his stuff in spring practice. 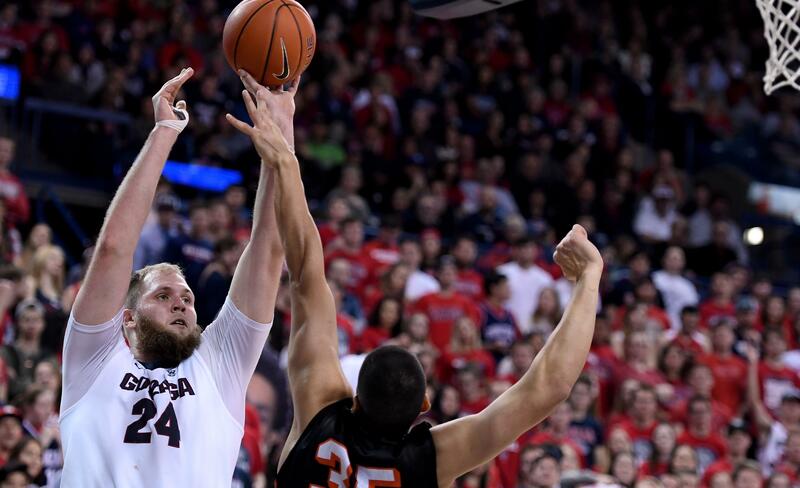 … In basketball, Arizona expects to be back to full strength. … Oregon is examining why it isn’t always. … Utah hasn’t played a complete game in a while. … California hasn’t beaten Stanford in Maples Pavilion in a while. … Finally, Markelle Fultz deserved better this year at Washington. Meanwhile, Kelsey Plum is getting everything she wanted out of her stay. Whitworth: The Pirates are still in Southern California winning baseball games. NIC: The Cardinal women lost a home game last night. Preps: There was one basketball playoff game on Monday. Mariners: There are signs the M’s will do whatever it takes to win this season. Even keep Nelson Cruz in the designated hitter spot. … But they have to improve their base running. … Spring is about injured players getting back on the field. Seahawks: The free agent visits are beginning. Sounders: The stadium will be open a bit more for the MLS opener. Published: Feb. 21, 2017, 7:36 a.m.